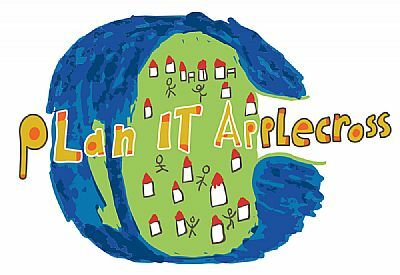 We are pleased to announce that Applecross Community Company (ACC) are undertaking a Community Land Use Plan project, “Plan It Applecross”, for the Applecross Community. This plan will be developed on our behalf by PAS (formerly Planning Aid Scotland), in close cooperation with the Applecross Trust. The project will take place during January – April 2019 and we invite and encourage the entire community to get involved. The main community workshops were held at the Applecross Community Hall from the 28th Feb – 2nd March and were very well attended. The next follow up session is on the 3rd of April in the hall so please come along then. PAS (www.pas.org.uk) is a volunteer led independent and impartial charitable body who helps people to understand and influence the places where they live, work and visit. PAS are specialist planners who have extensive experience in community engagement and community-led land use planning in rural Scotland. PAS are based in Edinburgh and will be visiting Applecross during January-April with the final plan scheduled for May. Following the recent ACC survey last year, and other recent community consultations, the development of this plan is the “next step”. It will build on the results of these consultations to produce a plan which represents the community’s view on the future of Applecross’s land use. What is a Community Land Use Plan? Good question! A Community Land Use Plan identifies geographical areas which are suitable for future development. Such developments may include housing, recreational areas, footpaths, community buildings. By involving the community throughout the entire project, we aim to build this plan together and include all the views of the community members. We aim for the final document to be used as planning guidance under the existing Highland Council WestPlan. PAS held an initiation meeting in Applecross on the 17th & 18th of January. This was attended by representatives from the ACC Board, the Applecross Trust, Applecross Community Council, Highland Council, HSCHT and the Applecross Forum. · 5-6 February: PAS (David Ferguson; Laura MacDonald) were with the Applecross Primary and Plockton High School. · 6-8 February: PAS (Julia Frost; Rob Piggot) were in Applecross meeting key groups: crofting grazing committees, local businesses, the over-60’s lunch club, the Community Hall Committee, and local groups such as heritage/archaeology. · PAS spoke on the phone/via email to other local organisations and groups and othe individuals. We would also like to speak to anybody who is not currently resident in Applecross but who grew up here and would consider returning. These initial discussions are to help plan for the main part of the process later in the month; they were to raise the profile of the project and help get everyone involved; and are to hear the objectives and interests of key groups/landowners/stakeholders. This activity informed the planning of the main workshops. This follow up one day workshop will be held at the hall and will allow attendees to comment on the findings and proposals that came out of the workshops and discussions. More information on this closer to the date. Please contact Julia at julia@pas.org.uk or Rob on rob@pas.org.uk at PAS for information or details about the events. Altenatively please contact Ann or Roslyn at ACC on ldo@applecrosscommunitycompany.org. We will be sending out updates on the progress of Plan It Applecross on a regular basis so please keep an eye out for the latest newsletter. Sign up here for updates.